Abstract: In the early decades of the 20th century the London Underground was transformed from being simply a pioneer urban transit system into becoming the most powerful influence on the metropolitan landscape of any world city. 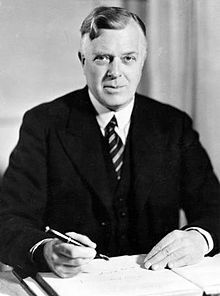 This was entirely due to the vision and planning of one individual: Frank Pick (1878-1941) who became managing director of the Underground in the 1920s and the first chief executive of London Transport in 1933. Pick’s ‘total design’ management, through graphics, architecture, communication systems and the design of the entire passenger environment gave the Underground a unique character that is not found on any other metro. His influence is still felt today, an urban design culture which has shaped London’s chaos more than anyone else since Christopher Wren. Biography: Oliver Green is currently Research Fellow at the London Transport Museum (LTM) and working as an independent museum consultant, lecturer and historian. He began his museum career at the Museum of London in 1974 and was the first Curator of LTM when it opened in 1980. He left to manage local authority museums and cultural services in Colchester, Poole and Buckinghamshire, returning to LTM as its Head Curator in 2001 and leading the curatorial team working on the major lottery funded refurbishment of the Covent Garden museum, which reopened in 2007. He has written and lectured widely on transport art, design and history. His latest book, authored jointly with David Bownes and Sam Mullins, is UNDERGROUND, How the Tube shaped London, published by Penguin Books in association with Transport for London to celebrate the 150th anniversary of the Underground.